Jet Airways’ discount offer is applicable on both one way and return journey. Jet Airways on Saturday announced a discount of up to 50 per cent on domestic and international flight tickets under a special ‘Global Sale’ offer. 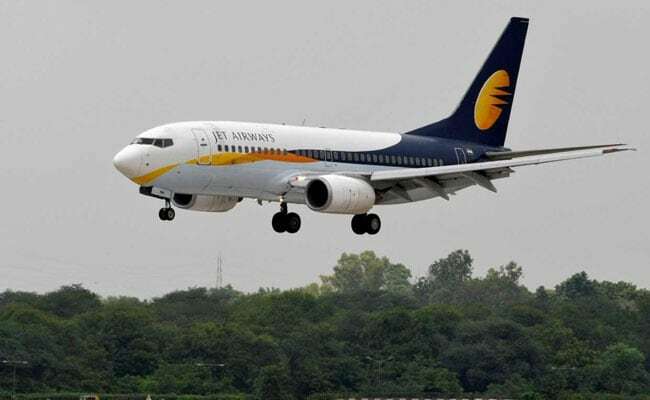 Jet Airways’ discount offer — applicable on base fares in premiere and economy booking classes on select domestic and international flights — is valid till January 11, 2019, said the carrier on its official website- jetairways.com. Airline’s offer on flight tickets come amid high competition in the country’s civil aviation sector, boosted by robust growth in passenger traffic registered over past few months. 1. Jet Airways’ discount offer is applicable on both one way and return journey. 2. In case of international destinations, the discount offer is applicable on base fare in premiere and economy booking classes on fights flying to select destinations in Europe, according to Jet Airways’ website. 3. However, the offer is not applicable for travel to Muscat and Sharjah, the airline noted. 4. In case of premiere booking class on domestic flights, tickets must be purchased a minimum of 8 days prior to departure for travelling on or after January 13, 2019 under this offer. 5. For travel in economy class on flights within India, tickets must be purchased a minimum of 15 days prior to departure for travelling on or after January 20, 2019. 6. For travel to international destinations, travel must commence on or after January 5, 2019. 7. The offer is applicable on select booking classes only, the carrier noted. 8. Exclusive benefits are also available on bookings done directly on airline’s website or app. 9. Child/infant discount, date change, flight change, refund charges, weekend surcharge, black out period, travel restriction and/or flight restriction are applicable as mentioned in the fare rule, the airline said. 10. Jet Airways reserves the right at any time, without prior notice to add, alter, modify, change or vary all or any of these terms and conditions or to replace wholly or in part, the above offer by another offer, whether similar to above offer or not, or to withdraw it altogether, the carrier mentioned, according to Jet Airways’ website.